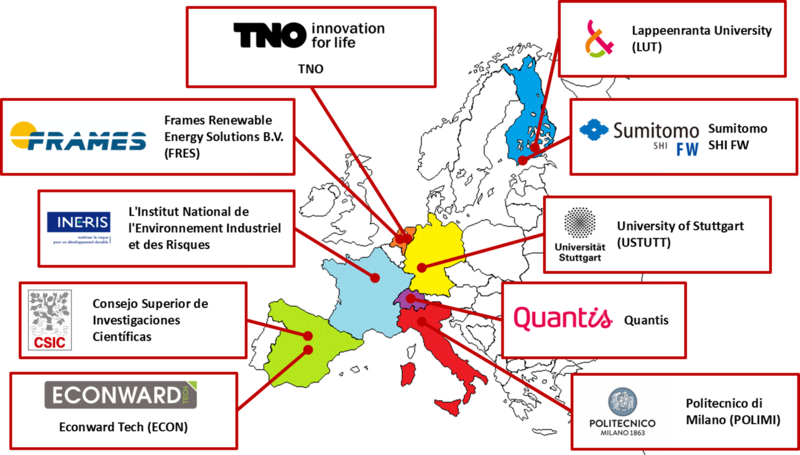 FLEDGED consortium combines 10 legal entities from 6 EU countries, including 3 universities, 3 research centres, 1 SME, 2 complementary technology providers and 1 industrial end user. overall and comprehensive system analysis will be ensured through process integration and economic analysis by POLIMI and Frames, study of risk and socio-economic aspects by INERIS, sustainability analysis by QUANTIS. Moreover, commercial exploitation of the results of the research is ensured at different levels by the industrial partners, that are potential technology providers and potential short-term end-user of the technology.